NORTH BEND, Wash. (AP) — Two friends on a morning mountain bike ride 30 miles (48 kilometers) east of Seattle were attacked by a cougar, killing one of the men and leaving the second hospitalized in what authorities described as a rare occurrence. 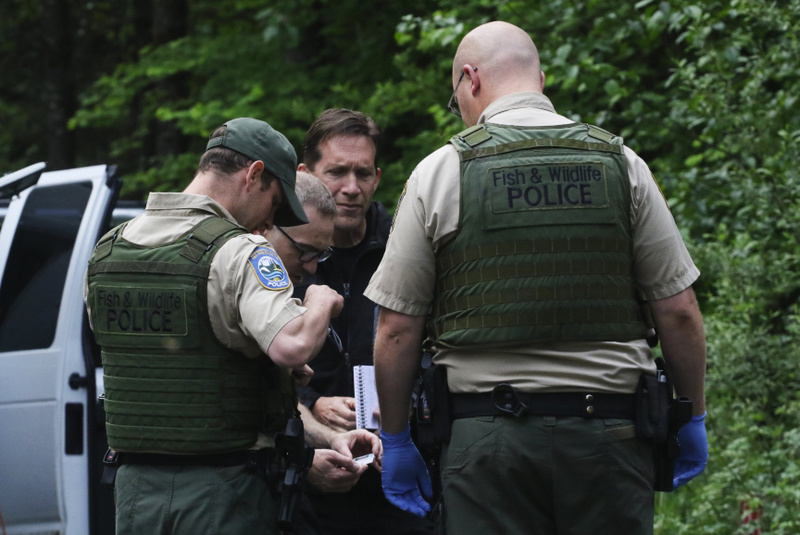 The cougar was later found up a tree near the dead man's body, where agents for the state's Fish and Wildlife police shot and killed it hours after the Saturday attack, the Seattle Times reported. The names of neither man were immediately released. The injured man was in satisfactory condition at a hospital. Authorities say the cougar initially attacked him before running away. Moments later, it returned with deadly results, authorities said. "He jumped the first victim and attacked him," said Sgt. Ryan Abbott, of the King County Sheriff's Office. "The second victim turned and started to run away. The cougar saw that and went after the second victim. The first victim saw his friend being pulled by the cougar. He got on his bike and started to bike away." The injured man rode for about 2 miles (3.2 kilometers) before getting cellphone coverage and calling 911. Abbott said when rescuers arrived it took them about 30 minutes to locate the second victim, who was dead with the cougar standing on top of him. "The deputies shot at him and spooked him, and he ran off," he said. It took several hours before authorities found the cougar up a tree 50 to 200 yards (45 to 182 meters) away and killed it. While the cougar was being hunted, rescuers had to wait to retrieve the dead man's body. Rich Beausoleil, the state's bear and cougar specialist, said it was only the second fatality in the state in the last 94 years. "But it's one too many," he said. Cougars, also known as mountain lions and pumas, are a protected species, the Times reported. Each year, the state allows 250 cougars to be hunted and killed in 50 designated zones.